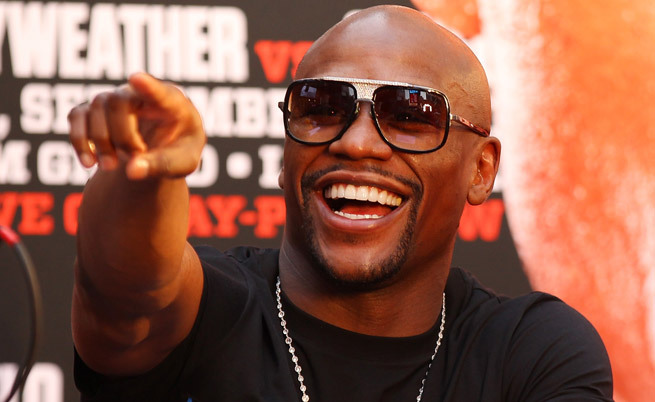 Floyd Mayweather Jr has put the kybosh on a rumoured rematch with Manny Pacquiao. The two future Hall of Famers clashed in 2015 in a fight that the American won comfortably on points. At the time many pundits believed the fight was happening five years too late. But that hasn’t stopped speculation that the duo will clash again, despite the 42-year-old Mayweather fighting just twice since the Pacquiao victory. “We had a great fight. And we both had great careers. We move on and do other things in life,” Mayweather said. “I’m an entrepreneur. I don’t just box inside the ring. Mayweather has since moved on in his life and spends his time tutoring young boxers. After the Pacquiao fight Mayweather fought just once more – a wide points decision win over Andre Berto in September 2015 – before announcing his retirement from the ring. He was lured out of retirement two years later for a $300m fight again MMA star Conor McGregor, who was making his professional boxing debut. Mayweather won the fight by 10th round TKO, his first stoppage victory in six years. Meanwhile, Pacquiao has rebounded from his shock loss to Jeff Horn in 2017 with a stoppage win over Lucas Matthysse last year and a points victory over Adrien Broner in January. Last month Pacquiao was ringside for Errol Spence Jr’s one-sided demolition of Mikey Garcia in Texas and it seemed the duo could be on a collision course later this year, but recent reports have the popular Filipino paired with Keith Thurman.